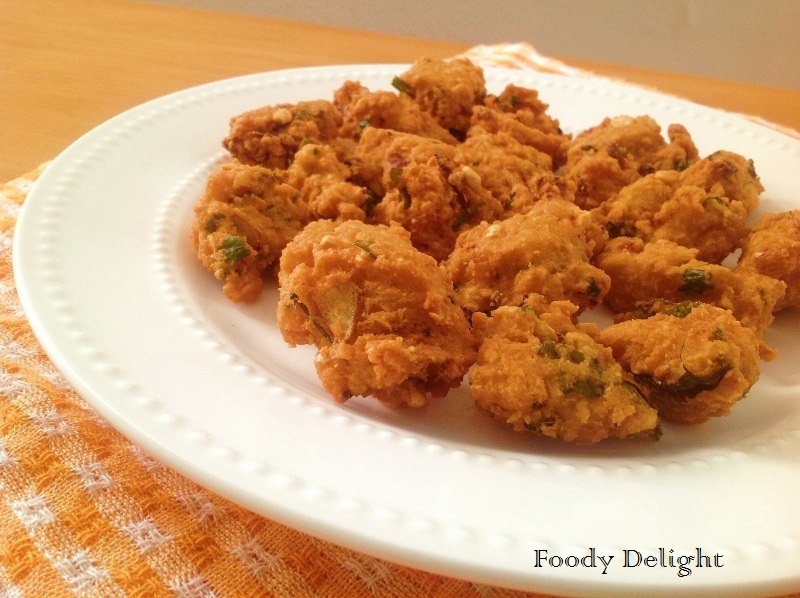 Chana Pakoda is the fritter prepared with bengalgram lentil spiced with some Indian spices. 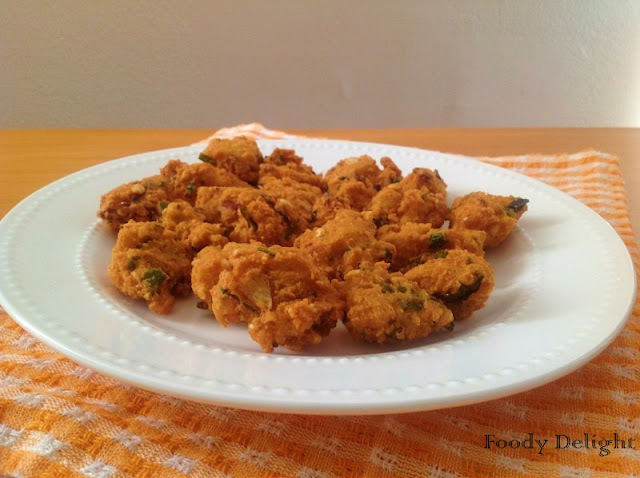 Chana Pakoda is very popular Konkani snacks always enjoyed during tea time. 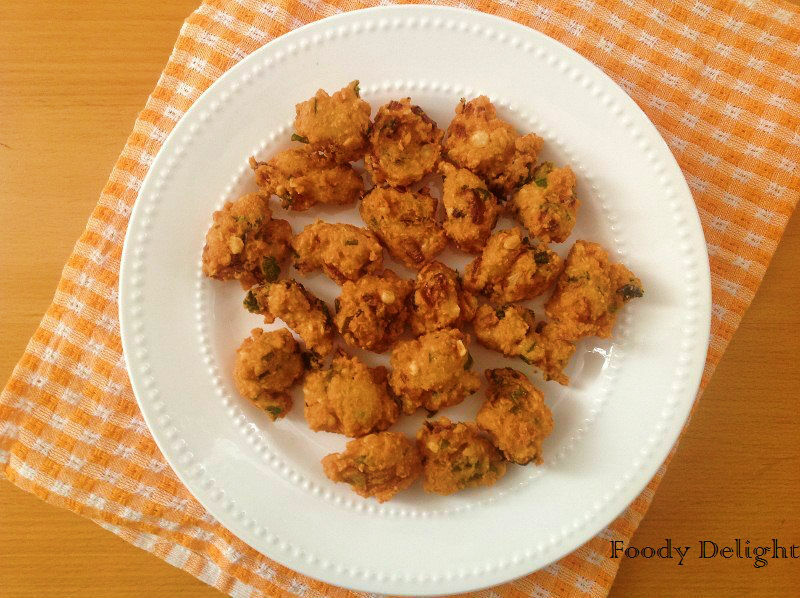 Traditionally these are prepared in goan wedding occasions as an appetizer. These pakodas are soft in inside and crisp outside. The These pakodas can be fried in any shapes. These are usually served with coconut chutney or just with hot cup of tea. Wash and soak the bengalgram for atleast 4 hours. Then grind the soaked bengalgram along with little water to coarse mixture. To the coarse mixture add chopped onion, chopped ginger, chopped green chillies, chopped curry leaves, chopped cilantro , besan and salt. Heat oil into frying pan and add spoonful of pakoda mixture into oila nd fry till pakoda are golden in colour. Channa dal pakoda are ready to serve. 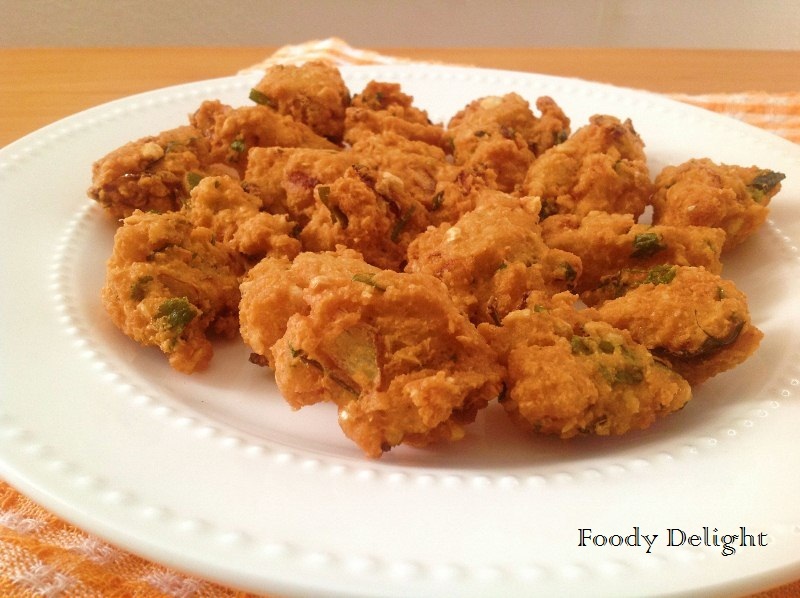 Feel like munching some,very crispy pakoras.